The number of tablets that can use the Apple Pencil expanded with the debut of the iPad Air 3 and iPad mini 5. Curiously, these support the original version of this pressure-sensitive stylus, not the newer one that launched in the fall. But it turns out there are several good reasons for this move. The Apple Pencil 2 gets power through an inductive charger built into the side of the 2018 iPad Pro models. This charger is too expensive to include in the new iPad Air 3 and iPad mini 5, according to an unconfirmed report from Daring Fireball. The Pro models start at $799, while the latest Air tablet has a base price of $499. The new mini comes in at $399. Those significant price differences make this report reasonable. 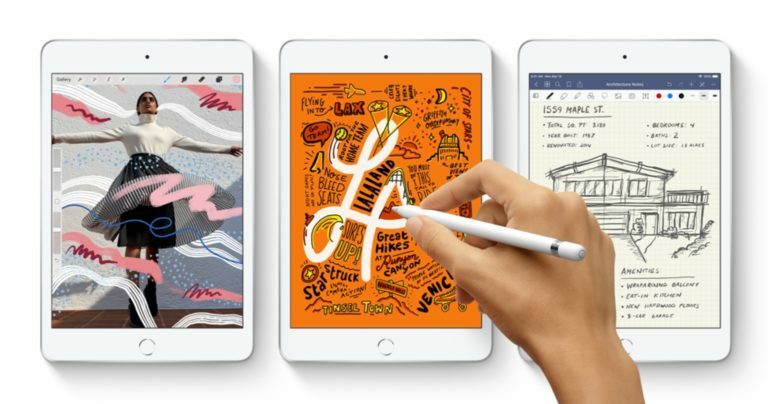 There are other reasons these new tablets support the original Apple Pencil rather than the newer iteration. That inductive charger requires the edge of the tablet to be flat, while the new iPad Air and mini have rounded edges. Building in support for the Pencil 2 would have required both to be redesigned but Apple clearly decided not to, likely as a way to cut costs. As it is, the iPad mini 5 is nearly identical to the fourth-generation modern from 2015, while the third-generation iPad Air is very close to the design of the 10.5-inch iPad Pro released in 2017. The two newly-announced models aren’t the only iOS tablets that support the original Apple Pencil. The 9.7-inch iPad introduced a year ago does as well. That means that all of the current non-professional iPads can use this stylus, while all this company’s Pro tablets use the Pencil 2. The first Apple Pencil is $99, while the newer model is $129. It’s logical that the more expensive Pro models can use a pricier stylus that has additional features, while the basic devices use a more affordable one. Perhaps its latest stylus should have been dubbed the Apple Pencil Pro to prevent confusion. Last spring’s 9.7-inch iPad is focused on schools, and along with it came the release of the Logitech Crayon, a more affordable stylus option designed for the education market. The iPad Air 3 and iPad mini 5 can also use the Crayon, making them better options for students. That wouldn’t be true if they were designed for the Apple Pencil 2.